God wants children to experience His power—but parents and ministers sometimes don't know how to lead youngsters into a deeper encounter with the Holy Spirit. Here are some guidelines. Little hands raised toward the sky, some steady, some shaking. Little feet moving swiftly, dancing, marching. Tearful eyes pressed shut with visions and dreams. Small bodies bowed low in worship and prayer. Tiny voices silencing entire congregations, warning and pleading with the hope of Jesus Christ. These are the children of revival, fast-forwarding into the end times prophesied by Joel (see Joel 2:28-29). You'll find them worshipping, interceding, preaching and prophesying at churches across the country—wherever children's ministry is undergoing a revolution. "Children need the power of God to overcome the fierce temptations of our day," says popular children's minister Mark Harper of Sauk Rapids, Minn. "One experience with the Holy Ghost can change their [lives] forever!" Today, as the standard is raised in children's ministry, even the very young are being led into a more experiential faith. No longer content with Sunday school crafts and entertainment, kids of all ages are learning to pray, witness and use their spiritual gifts. "It's not enough to merely teach children about God," says David Welday, a children's minister who used to oversee product development for CharismaLife, a former publisher of Sunday school and youth materials. "Even the devil knows about God. It's more important to give kids the chance to experience His presence." But even in times of revival, parents cannot rely solely on the church to cultivate this experiential faith in their children. Many kids are never exposed to revival meetings, and those who are may not find a weekly dose of Pentecost sufficient to carry them through the rest of the week. They need to experience the Holy Spirit in the environment where they are most profoundly impacted: the home. We know God is pouring out His Spirit on the younger generation, but is He also showing up with signs and wonders in the privacy of their homes? That answer depends more on parents than on God, ministers say. Since parents set the spiritual tone of the home, children are apt to seek God's presence with the same tenacity they do. "Church and home must be on the same page," says Harper, who ministers to thousands of children at conferences and at his Minnesota-based camp. He believes revival meetings have an edge because of the investment of prayer and preparation that go into them. But on the home front, he says, most Christian families don't even have a prayer or worship time together. Welday agrees. "I love to put on a praise CD and worship around the house," he says. "I know that my teen-age sons are far more impacted by observing my lifestyle of worship than by my lecture on the subject." Many Christian parents feel inadequate. Either they don't know how to impart spiritual truth to young hearts, or their own relationships with God are lacking. "If you want to see a change in your kids," Harper says, "it's quite possible that change may begin in you." Parents who want their children to be impassioned for God must be "in the river" themselves, he says. That's because children are wired to learn through imitation. Karyn Henley, an award-winning children's communicator based in Nashville, Tenn., agrees. "God-encounters can happen, but the key is the parent," she says. "Preschoolers imitate the signs of faith of the significant adults in their [lives]," she explains. Most people agree with the concept of role-modeling, but some are uncomfortable with the idea of children moving in spiritual gifts such as prophecy and tongues. Harper's popular SuperChurch curriculum, now used in more than 6,000 churches worldwide, came under fire for allowing puppets to use such "gifts" during puppet presentations. Although he denies teaching kids to copycat tongues or prophecy, he does admit that children will imitate what they are exposed to. "If they are not imitating spiritual things, they're going to imitate something else because God created them to imitate," he says. Harper says his motive is to expose children to the fullness of the faith, but he warns against pushing them into any spiritual experience, including salvation. 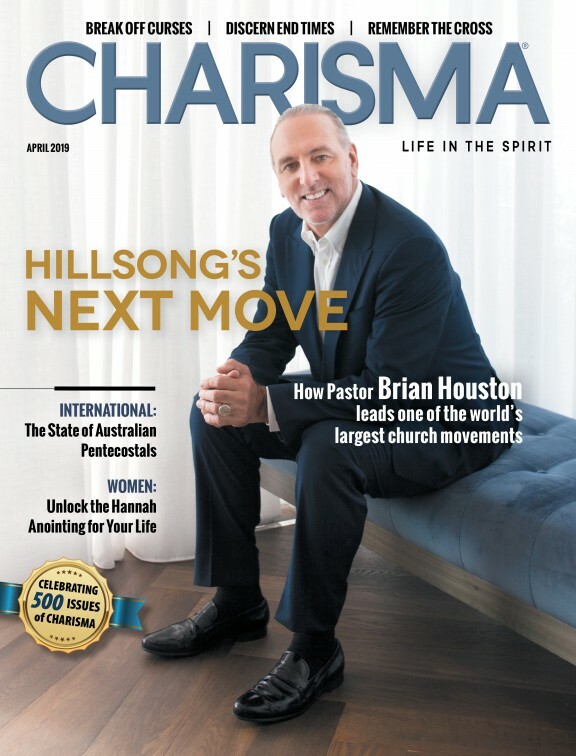 Although his 20-year ministry has prayed with more than 10,000 kids to receive the Holy Spirit, he says children who respond to altar calls at his meetings are always screened to make sure they understand what they are praying for. Imitating others does not prevent children from having genuine encounters with God. The more time they spend in spiritual disciplines such as prayer and worship, the more personal and mature their relationships with God become. For this reason modeling experiential faith should be combined with solid scriptural teaching, and parents should be careful to pace their instruction according to their children's levels of understanding. The emphasis for young children should be learning to hear God's voice, Harper says. In his book, Children and the Holy Spirit (Mark Harper Ministries), Harper describes four ways parents can teach them to expect to hear from Him: the inward witness, the conscience, the inner voice and visions. Speaking what they hear is important, too. Although some people think children are too immature to speak God's message to others, Harper and Henley say the onus is on the hearer. "Receive [prophecy from children] just as you would from an adult," says Henley, author of the original version of The Beginner's Bible, which has sold more than 3 million copies. "Weigh it and measure it against your heart, against the Word of God, and discern it as you would any other word." Lenny LaGuardia, director of Passing It On Ministries for children at Mike Bickle's International House of Prayer, Kansas City, Missouri, is convinced that children should be treated as fully functioning participants in the kingdom of God. He tells parents to allow their children to minister within the home. Asking a simple question such as, "Is the Lord showing you anything about our family?" can be a tool to teach children to listen to God's voice and minister to others, he says. In order for parents to model experiential faith, they must maintain a balance between structure and spontaneity, says Jeanene Thicke, founder of Children's Vision International (CVI). Thicke is mother to more than 90 children in Bogotá, Colombia, where she established three orphanages for homeless street children. "Structure creates order and discipline," she says, "which in turn makes teaching easier for children." Bible lessons at CVI are done at a specific time and place each day so that when children are gathered in that part of the home, they know what to expect. But parents must also learn to capture life's teachable moments. Henley's book, 100 Ways to Teach Your Child About God (Tyndale House), offers simple ideas for drawing spiritual truth out of everyday things in life. For example, when you go to the car wash, you can talk to your kids about how sin makes people dirty, but Jesus cleanses us. Or you can instill a sense of God's creativity and humor by studying the animals at the zoo. A passage in the Old Testament gives us the who, what, when and where of spiritual training: "'Therefore you shall lay up these words of mine in your heart and in your soul, and...you shall teach them to your children, speaking of them when you sit in your house, when you walk by the way, when you lie down, and when you rise up'" (Deut. 11:18-19, NKJV). "It's not a Bible lesson," Thicke says, "it's a life lesson! It's both all-day stuff and a designated time and place for devotions." Modeling everything from worship and prayer to helping the poor should be a natural part of every Christian home. The children of CVI are taught to pray for everything from food and clothing to healing. When Angie, a 3-month-old street baby who was paralyzed in an accident, was brought to CVI, the children prayed for her, and within a few months she was walking and totally normal. "That boosted the kids' faith to pray for anybody and anything, whether the fish is sick or it's one of the children," Thicke says with a smile. When the World Trade Center towers collapsed, a group of CVI children immediately called the American staff members together. Falling on their knees and holding lighted candles, the children gathered around the adults and began to intercede for them and for America. That kind of initiative is a true God-encounter, Thicke says, because it's birthed in the hearts of the children.